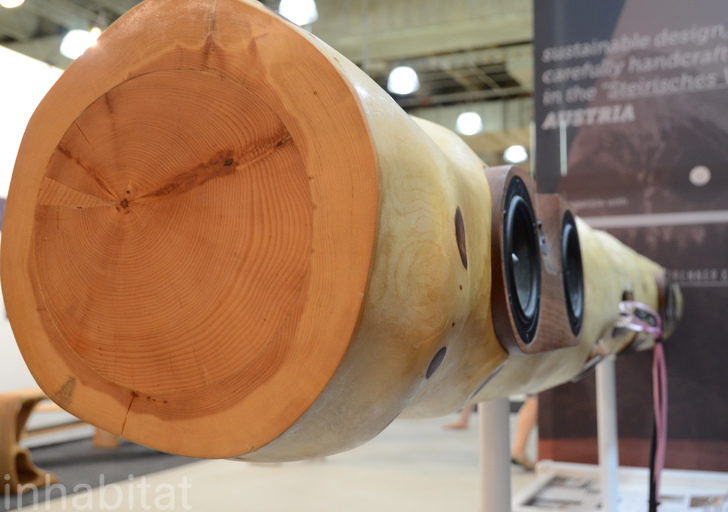 How much wood would a woodchuck chuck if a woodchuck was making itself an iPod docking station? 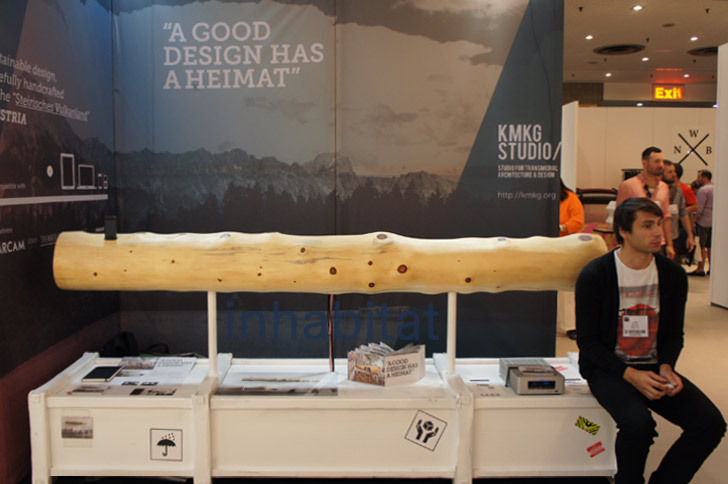 Answer: An entire tree, if <a href="http://www.designtree.at/kmkg/" target="_blank">KMKG Studio</a> has anything to say about it. 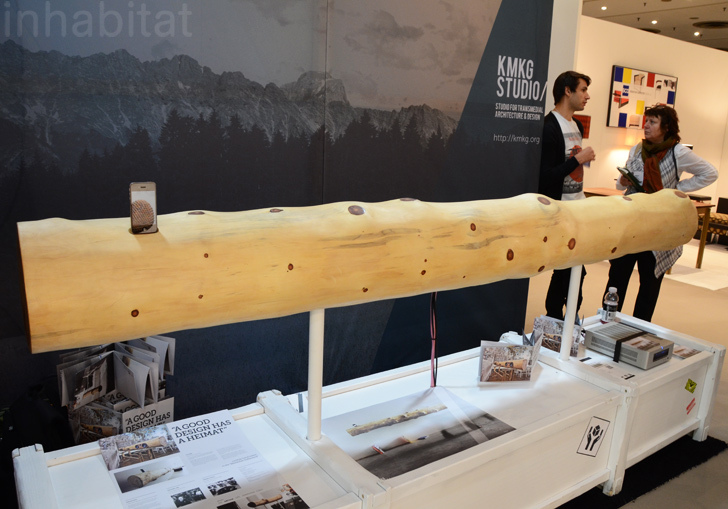 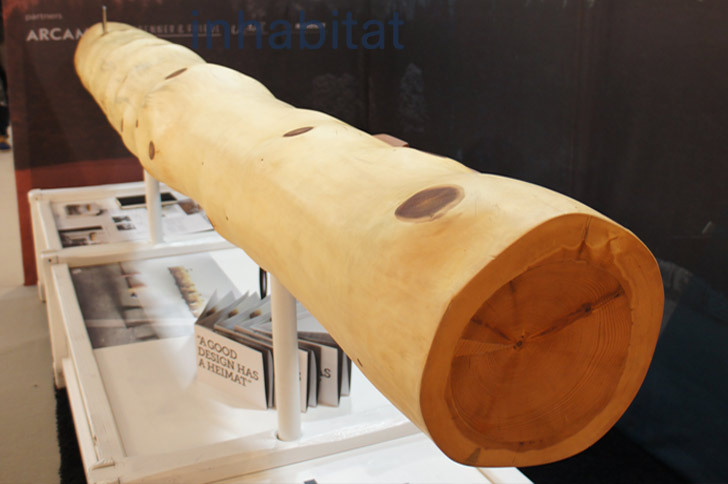 We spotted the Portugal-based design studio's massive <a href="https://inhabitat.com/itree-ipod-docking-station-made-from-an-entire-tree/">iTree speaker system</a>, which is made of a whole tree trunk, at <a href="https://inhabitat.com/icff/">ICFF</a> yesterday, and found it hard to ignore considering its larger than life design and equally bold sound. 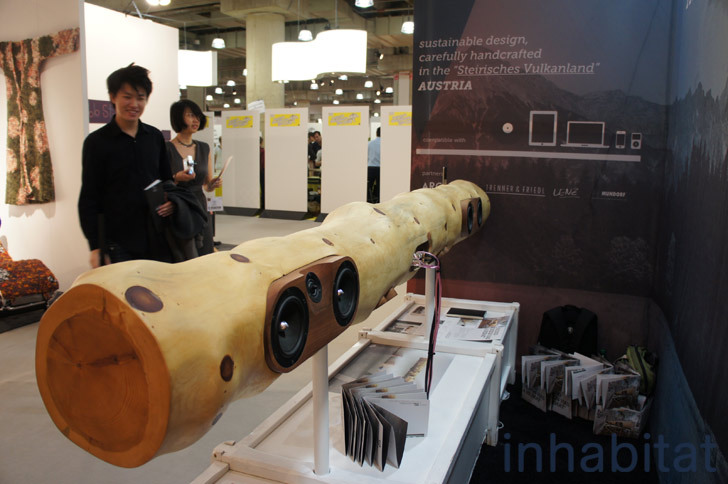 How much wood would a woodchuck chuck if a woodchuck was making itself an iPod docking station? 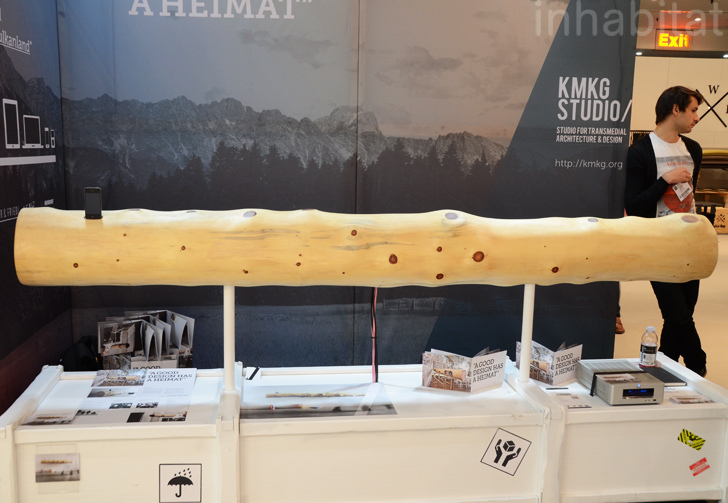 Answer: An entire tree, if KMKG Studio has anything to say about it. 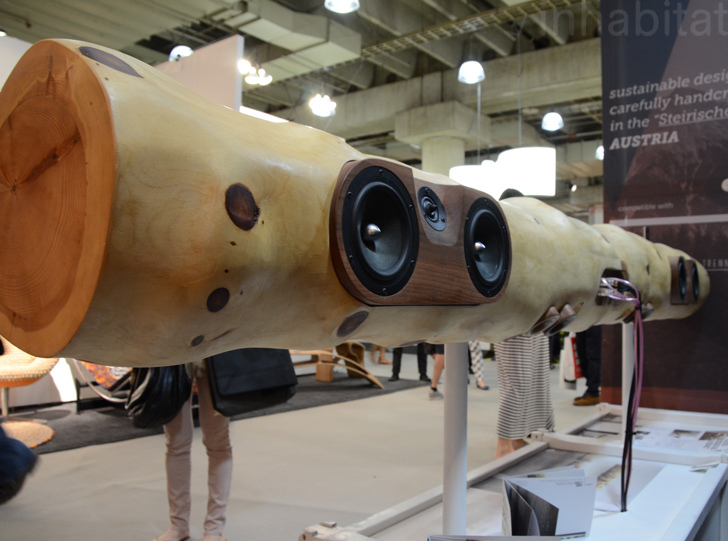 We spotted the Portugal-based design studio's massive iTree speaker system, which is made of a whole tree trunk, at ICFF yesterday, and found it hard to ignore considering its larger than life design and equally bold sound.